Jaybird USB Charging Cable ONLY. For Freedom / Freedom 2 / F5. (No Headphones Included,No Charging Clip Included, No Battery Included). Authentic / Genuine. 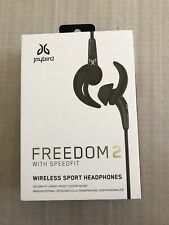 BNIB Jaybird freedom wireless headphones. Condition is New. Shipped with USPS Priority Mail. JAYBIRD FREEDOM F5 WIRELESS IN EAR EARPHONE OCEAN. Condition is New. Shipped with USPS First Class Package. Notes : Includes Jaybird Freedom F5 Battery Charging Clip. Also subject to change especially during peak periods. Good – This item is previously used and will show signs of wear and tear from normal use. The free MYSOUND app lets you program your earbuds with permanent personal settings. Wireless Technology. Earbud (In Ear). Black, Blue, Gold, White, Clear, Gray. Earpiece Design. Manufacturer Color. Modified Item. 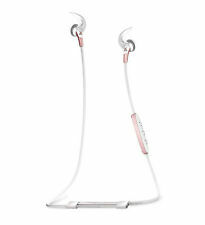 Now is your chance to buy a Jaybird Freedom Micro Sized Secure Fit Bluetooth Buds - White Gold NEW at a reasonable price. If you want the very best, you are looking at it. You can't go wrong with this Jaybird Freedom Micro Sized Secure Fit Bluetooth Buds - White Gold NEW. Trending at $45.44eBay determines this price through a machine learned model of the product's sale prices within the last 90 days. Brand new! Great for a replacement or extra battery! SWEAT-RESISTANT: Provides protection from sweat, so you can easily wear headphones while working out. BLUETOOTH INTERFACE: Enables simple wireless pairing with your Bluetooth-enabled device. Jaybird USB Charging Cable ONLY. For Freedom / Freedom 2 / F5. Included: USB Charging Cable ONLY (No Headphones Included,No Charging Clip). Authentic / Genuine. The smaller housing doesn't affect signal performance and can remove distortion, giving you crystal-clear audio wherever you go. Sweat-Proof - Built to last with a sleek yet rugged design, the Freedom Wireless Headphones are great for sports, workouts, and all weather conditions. Jaybird Freedom F5 BLUE Ocean Wireless In-Ear Headphones F5-S-L Bluetooth NEW IN FACTORY SEALED BOX. Free yourself so you can push yourself. These Jaybird Freedom sport Bluetooth in-ear headphones let you wirelessly connect to your smartphone or music streaming device from up to 33 feet away. Free yourself from the tangle of wires on your morning run with these Jaybird Freedom wireless earbuds. 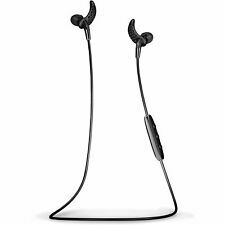 Jaybird Freedom F5 Wireless In-Ear Headphones - Black "New"
Jaybird FREEDOM 2 With Speedfit Wireless In-Ear Sport Earbud Headphones, Black. .
Jaybird Freedom F5 In-Ear Wireless Headphones - Carbon Charger , USB And Pouch. Condition is New. Shipped with USPS First Class Package. Jaybird Freedom F5 In Ear Wireless Headphones - Carbon (Used). Condition is Used. Shipped with USPS Priority Mail. Take calls or listen to music without the wires with these In-Ear Headphones from Jaybird Freedom. Model: F5-S. Bluetooth Built-in YES. Battery Life 8 hrs. Jaybird Freedom F5 In Ear Wireless Headphones - Carbon. Condition is New. Shipped with USPS Retail Ground. Freedom 2 with SpeedFit is sweat-proof and fits right out of the box with a reassuring Secure comfort-fit for any ear size. As one of the smallest wireless headphones, Freedom 2 with SpeedFit gives runners a truly carefree wireless music experience. 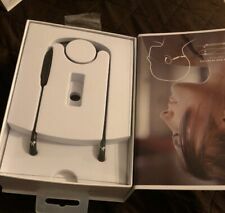 This auction is for a used set of Jaybird Freedom In Ear Wireless Headphones, with replacement ear tips. Condition is Used. Shipped with USPS Priority Mail. The Freedom Headphones by Jaybird have sandblasted, injection-molded metal parts for premium comfort and fashion. The smaller housing doesn't affect signal performance and can remove distortion, giving you crystal-clear audio wherever you go UNIVERSAL The patented silicone ear fins securely attach to the top and back/lower surface areas of the ear for a snug fit, locking the earbuds in during workouts and intense physical activities Built to last with a sleek yet rugged design, the Freedom Wireless Headphones are great for sports, workouts, and all weather conditions. Jaybird makes a number of different headphone models, with names like X3, SoundBuds, and Freedom. Jaybird Freedom headphones are designed with the active user in mind. They connect easily to your computer, tablet, smartphone or other device via Bluetooth. What models are in the Jaybird Freedom line of headphones? 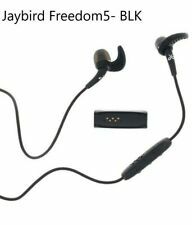 Jaybird Freedom F5: This model is smaller than other Jaybird models with a sleek form factor. All-metal designs are available. These headphones have great passive noise isolation. You can get up to 8 hours of battery life from a 20-minute charge. Jaybird Freedom 2: These are water-resistant, sweat-proof headphones with 4-hour playback on a single charge. An on-the-go charging clip gets you another four hours. Jaybird Freedom Sprint: This is the official earbud of the USA Triathlon. Made for use during serious training, the earbuds are guaranteed not to suffer damage from sweat. How do you pair Jaybird Freedom headphones? Set Mode: With the earbuds turned off, within three feet of the music device, press and hold the pairing key on the headphones. A voice prompt will say something like "Searching for music device." Device Bluetooth: On your music device, turn Bluetooth on and set it to search for Bluetooth devices nearby. Select: Find Jaybird Freedom on the music device and select it. Voice Confirmation: A voice prompt on the headphones should confirm the connection. Can you use standard USB chargers to charge Jaybird Freedoms? Jaybird uses a proprietary port size for purposes of charging its Freedom headphones. It's a slightly different size and shape than the standard sizes that many phones and other devices use. If you're looking for a charger to charge your Jaybird Freedom Bluetooth headphones, eBay has many available. How do you pick the right Jaybird Freedom model? The different models of Freedom headphones by Jaybird have different qualities that might be appealing, depending on the situation of the buyer. If you're looking for serious training headphones, the Freedom Sprints might be best, whereas for people who simply want reliable, lightweight headphones for active use, the F5s or Freedom 2s might be sufficient. The selection of Freedom headphones on eBay lets you find a pair that's right for you.